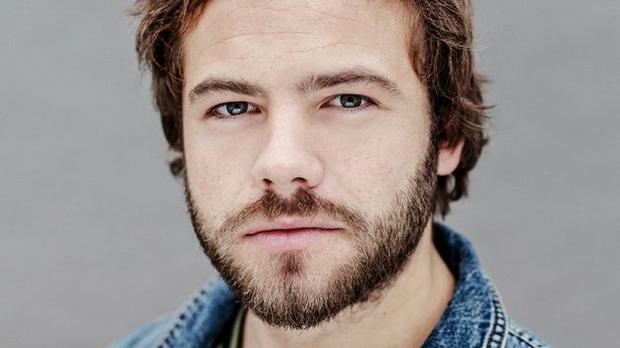 Irish actor Moe Dunford has been selected as one of the 2015 European Shooting Stars, an award previously won by Domhnall Gleeson. Dunford is one of ten young actors selected by an international jury of film industry specialists from a list of 23 nominating EFP member countries. The up-and-coming actor, who hails from Waterford, currently appears in the TV series Vikings and also stars in Terry McMahon's feature film Patrick's Day, which was joint winner with Glassland of Best Irish Feature at the Galway Film Fleadh earlier this year. He plays a young man with schizophrenia in the film which releases in Ireland on February 6. The jury's comment on Dunford reads, "Moe's physicality and sly charm first drew us to him – the ingredients of a modern-day Hollywood hero – but his work in Patrick's Day sealed the deal. The other Shooting Stars come from Denmark, Germany, Finland, Iceland, Lithuania, The Netherlands, Spain, Switzerland, and Game of Thrones actress Maisie Williams is the UK's Shooting Star. Domhnall Gleeson won the award in 2011 whilst other alumni include Daniel Craig (UK - 2000), Daniel Brühl (Germany - 2003), and Carey Mulligan (UK - 2009). The winners will be honoured at the Berlin International Film Festival in February.